The nights are so long at this time of year…which means more time for reading! So I pulled together my favorite books since I last regaled you with recommendations. 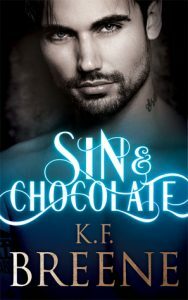 They start out closer to urban fantasy and get more romantic as you delve deeper into the post. Without further ado — good books! Anne Bishop’s Written in Red is one of those books that make me wonder “how in the world did I skip over reading this for so long?”. In my own defense, the cover is terribly off genre and does the interior no justice. 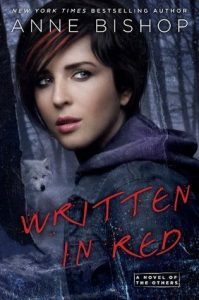 There are werewolves that push all the right buttons while still managing to be different and fresh, a sci-fi first-contact feel, an innocent yet strong heroine, and a vivid, snowy world that could have been one of the characters (and kinda was). Read it. 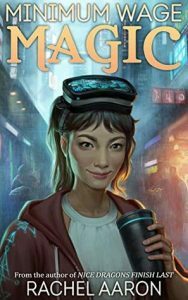 Minimum Wage Magic is my new favorite Rachel Aaron book, with strong shades of Ilona Andrews. I was hooked from page one, loved the slowly doled out backstory and world-building, and am very intrigued by the love interest. Currently FREE with Kindle Unlimited! 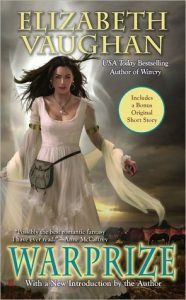 Warprize by Elizabeth Vaughan is pure fantasy romance with a healer as the heroine and an alpha-male lead who (spoiler!) turns out to be less cave mannish than he initially appears. If you enjoyed Amanda Bouchet’s A Promise of Fire, this book has a very similar feel. 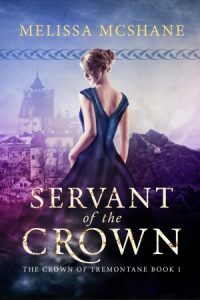 Melissa McShane’s Servant of the Crown was such an unexpected treat! At its heart, the novel is a historicalish fantasy romance in the vein of Court Duel. Add in old books plus a heroine who loves them and I was entirely hooked. 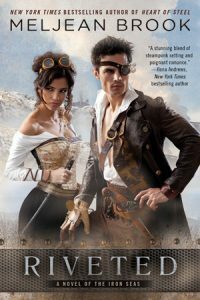 Meljean Brook’s Riveted is full of of steampunk awesomeness that requires no knowledge of what came during previous books in the series. This installment, in particular, was that perfect blend of action and romance, with a wounded but strong hero, a heroine on a mission, and a setting in Iceland that made me feel like I’d really been there. Highly recommended! I hope that gives you a few new authors to try out to keep you busy during long winter nights!